Line cooks are usually required to turn out many identical versions of the same dish each day. Cooking classes may be helpful in teaching an individual how to become a line cook. 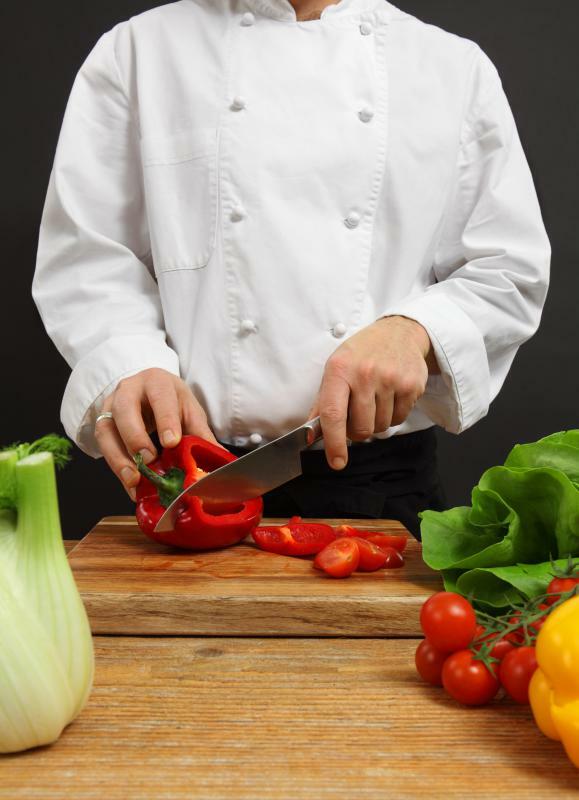 Becoming a line cook can lead to a career as a chef. A line cook in a small restaurant may eventually become assistant manager. A line cook a mid-level chef who oversees a specific area of the kitchen. 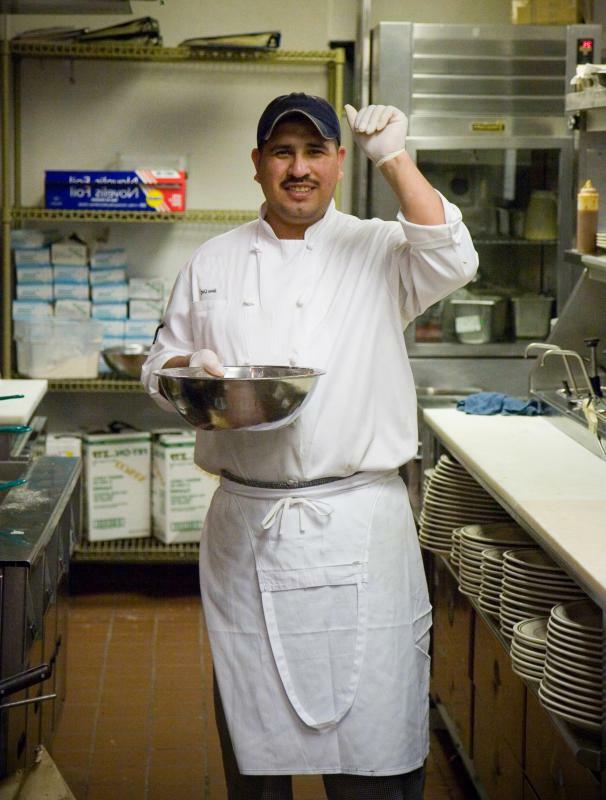 A line cook may work anywhere from family-style restaurants to five-star establishments. Line cooks are often responsible for preparing the food for cooking. The culinary arts offer a number of options for the aspiring cook. One of these options is the position of line cook. Line cooks work at a specific station on what is called the "front line" of the kitchen, hence the title "line cook." These stations include areas such as saute, grill, and deep fry. As orders come in the kitchen, the line cook working at a particular station begins preparing the portions of the order that his or her particular area is responsible for. Working as a line cook affords one the ability to learn how a kitchen functions, and it's one of the most common entry level kitchen jobs for aspiring chefs. Opportunities are available at restaurants of every type of cuisine and budget level. Line cooks work at small bar and grills, family-style restaurants, and five star establishments. Acquiring a line cook position can be achieved a few different ways. A high school diploma is not required for this job, and many line cooks obtain a job with no experience and learn as they go. Entry level line cooks who learn on the job begin with instruction on sanitation, safety, and food preparation. They begin working on one station and once an area is mastered, they may have the opportunity to move to other areas and learn the entire kitchen. To obtain a line cook job in this way, one should apply to all types of restaurants. Even if a restaurant doesn't serve a line cook's first choice of cuisine, every opportunity should be explored. Others may take advantage of high school co-op programs. These programs allow students to study food preparation and learn about the restaurant business by attending classes a few hours a day, then working at a participating restaurant part-time. This is a great way to ease into the restaurant business, but is only available at select schools. For those who wish to use a line cook position as a stepping stone to a career as a chef, a culinary school may be the best option. 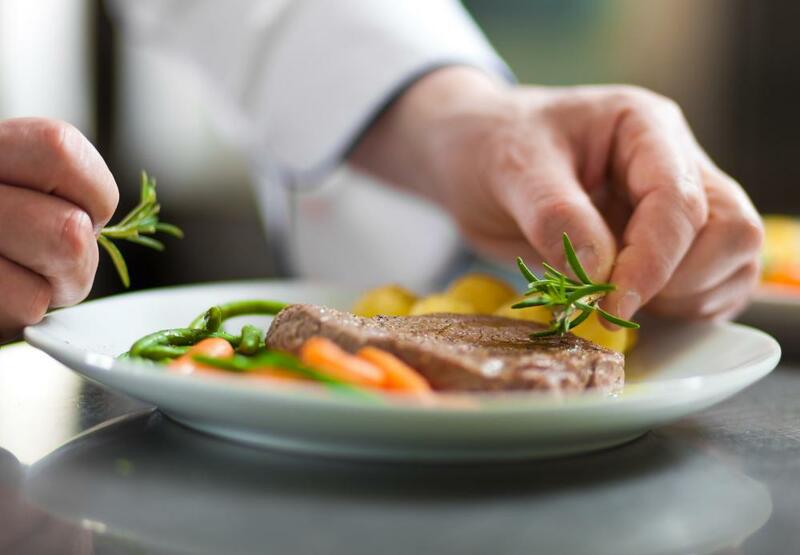 Once a culinary program is begun, the experience and knowledge obtained in classes may be appealing to restaurant managers looking for new line cooks. Often, instructors and advisors at different schools may have contacts and opportunities for students who wish to acquire experience as a line cook. 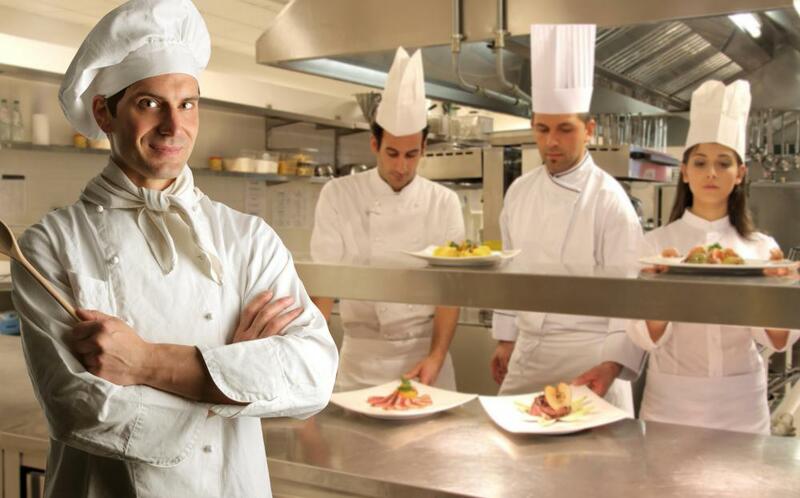 Whichever the course of entry, a line cook will be well-served to show interest in other stations and duties. The more knowledge, the more opportunities that may come along. 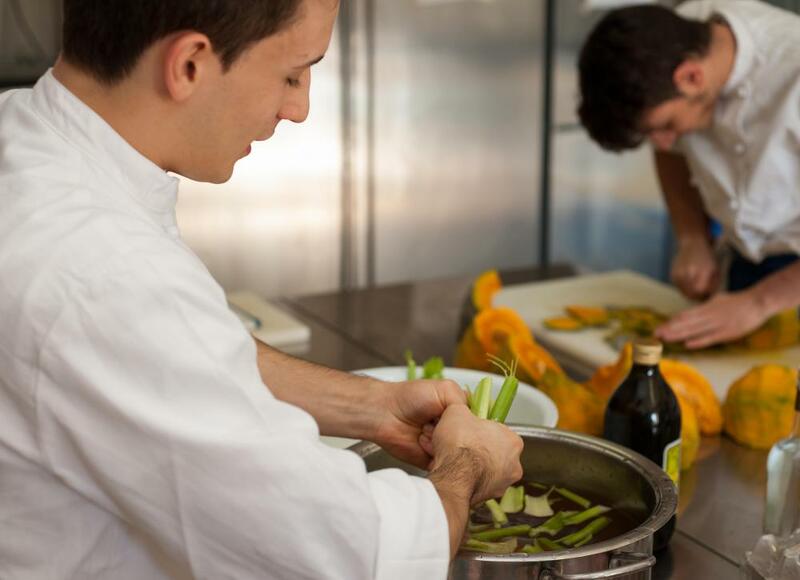 Every position in a kitchen works in unison to prepare the best quality of food and service for the customer. Knowing how each position works allows the restaurant staff to work together to achieve the best result. What Foods Are Prepared by Short Order Cooks? What does a First Cook do? What are the Different Waitress Jobs? I was a short order cook for a few years and I really admired the people who could handle a front line position. The pace was brutal, but these guys knew just when to plate up their part of a ticket so nothing had to sit in the window. It was a real ballet, and I don't know if I could have handled it as well as they did. One important thing to keep in mind is that most line cook positions are physically and mentally demanding. There is a lot of standing involved, along with heavy lifting and fast movements. If you're going to pursue this line of work, you need to be in decent physical condition and take care of your health outside of the restaurant. Kitchens can be very hot environments, and dehydration is always something to consider. A line cook can also be under considerable mental and emotional pressure. During the peak serving hours, orders arrive at a blistering pace, and it's easy to lose focus after a few hours of intense work. Things are going to go wrong from time to time, but a good line cook must learn to take things in stride and stay cool under pressure. Communication between stations is essential.